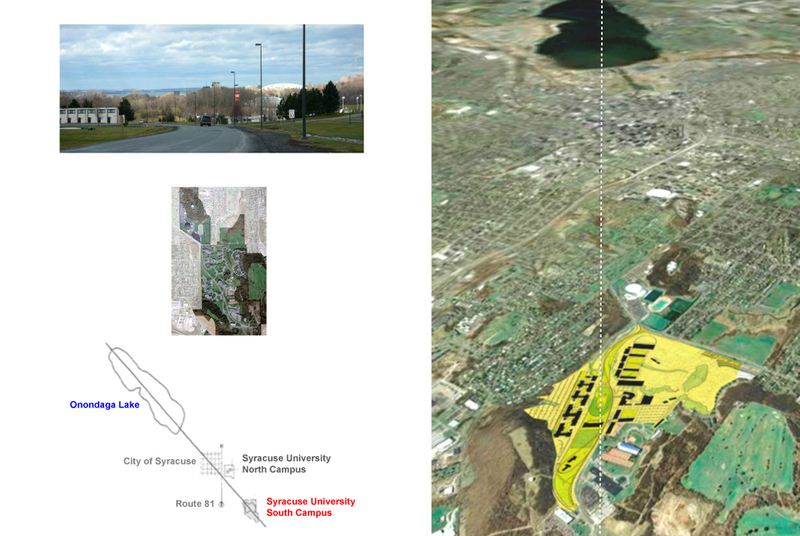 2,500 students are currently housed in garden apartments on the Syracuse University South Campus Site. 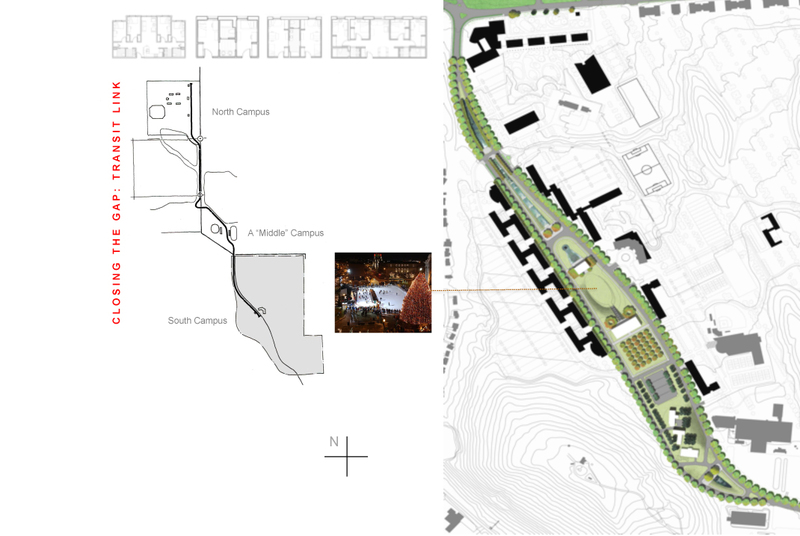 The new 420-acre master plan consolidates underclassmen, graduate students and married students into twelve buildings that are tightly arranged and socially knitted along a central Midway. 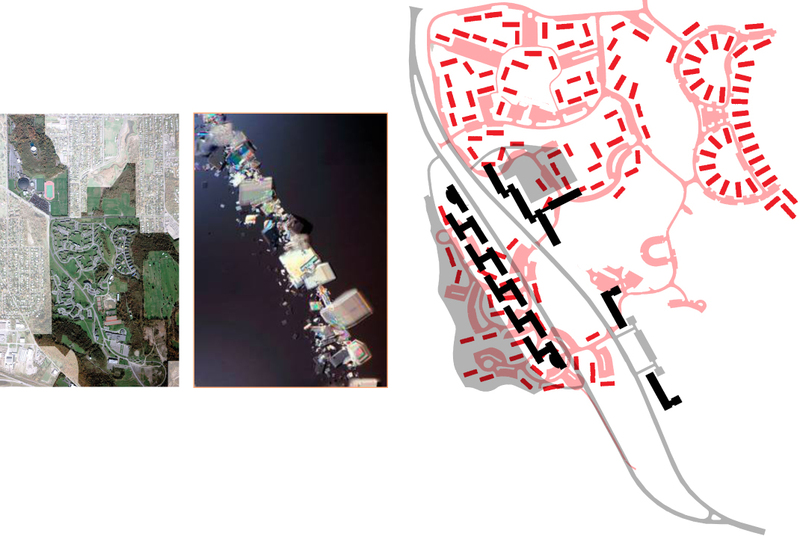 1,500 separate and insecure doors are replaced with 12 security-controlled lobbies and over two miles of parking lots requiring snow plowing are eliminated. 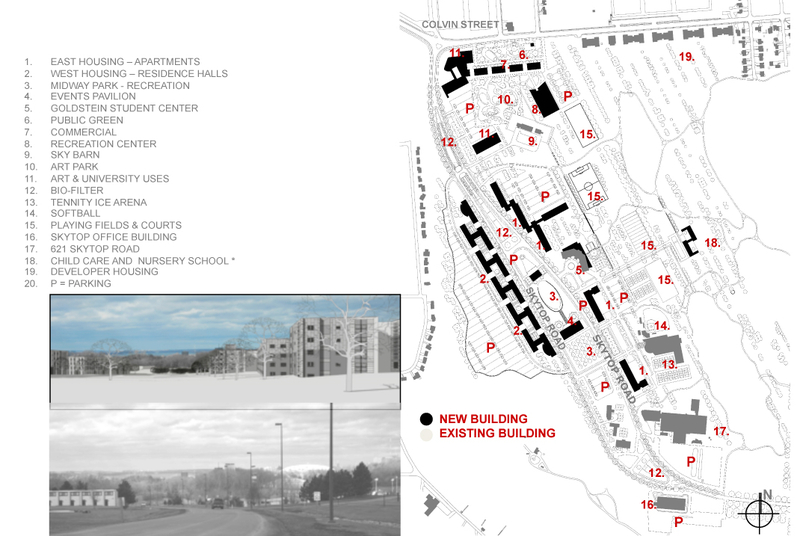 The midway groups the student housing with the existing Goldstein Student Center and Skytop Office Building with a proposed multi-purpose student pavilion. 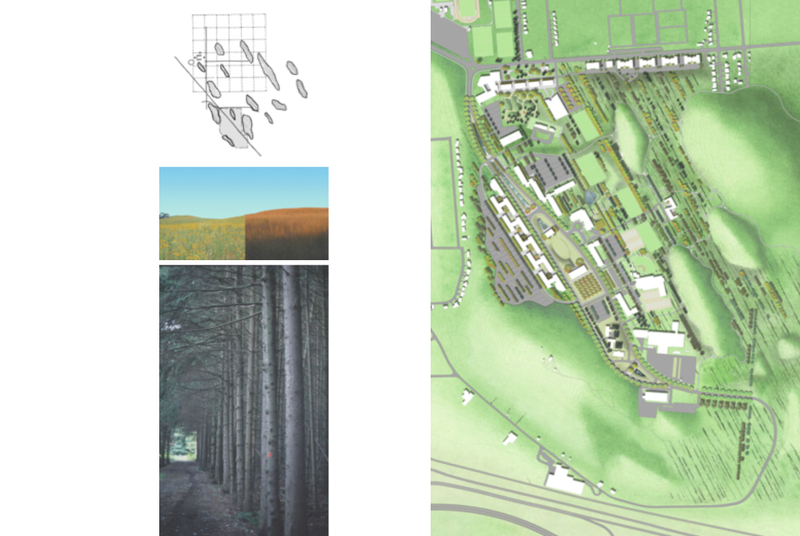 Over 140 acres of land for recreation is recovered, allowing new habitat establishment and a program of student amenities, positioning South Campus to become the nocturnal compliment to the historic campus. Kevin Sloan Studio collaborated with Ikon5. Architects in Princeton, New Jersey.